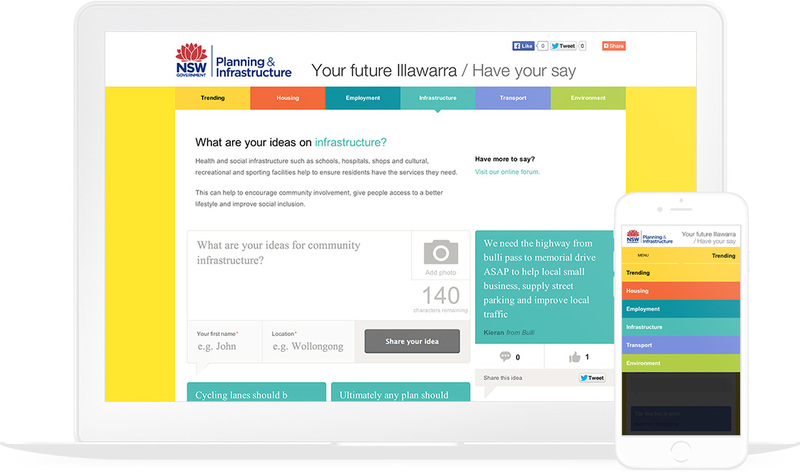 The Illawarra Ideas Jam is a fun and easy way to share ideas about the future of the Illawarra region. 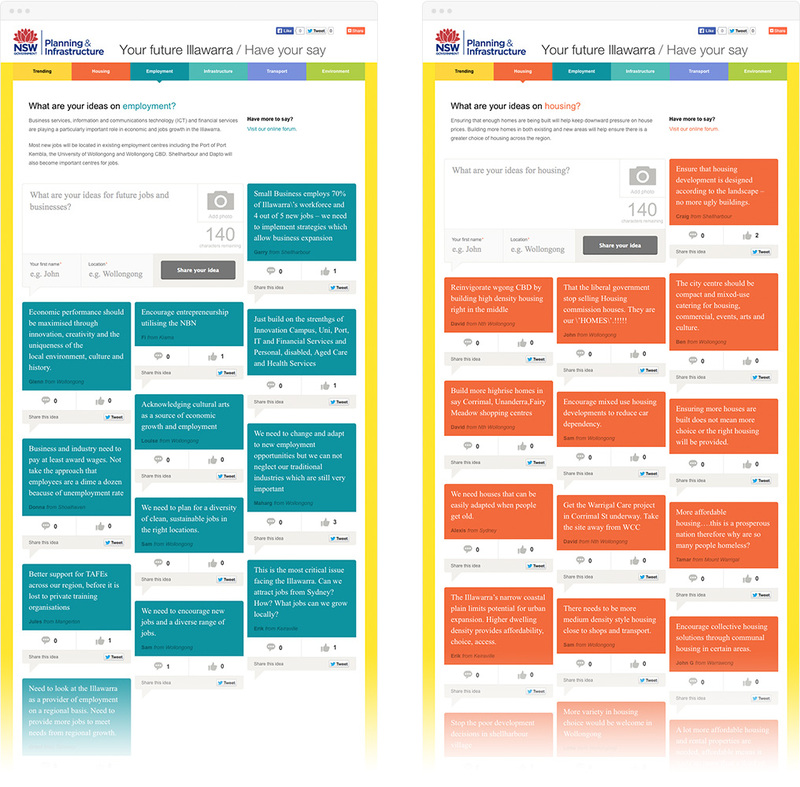 Binary designed and built a community engagement website that allowed residents to post, share and discuss ideas for housing, employment, community and the environment. The responsive website works across multiple platforms and devices from desktop, tablet and phones. 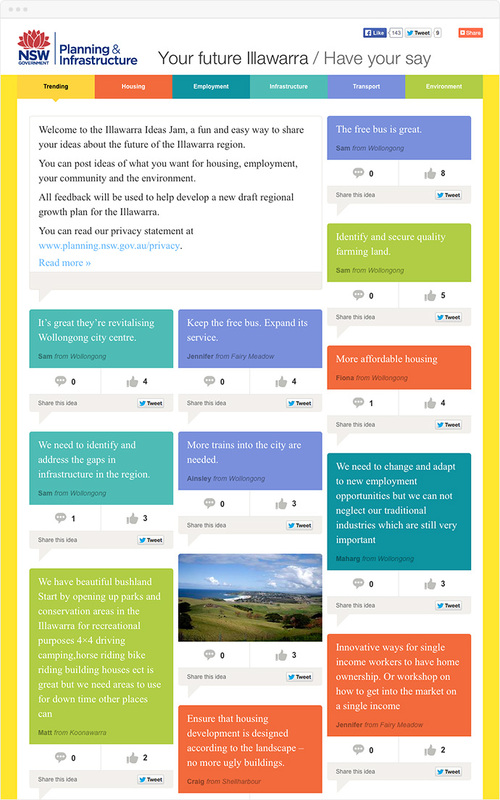 The feedback and ideas gathered by the project will be used to help develop a new draft regional growth plan for the Illawarra.